Intersurgical is a leading designer, manufacturer and supplier of a wide range of medical devices for respiratory support. We provide flexible patient solutions for airway management, anaesthesia, critical care, and oxygen & aerosol therapy primarily for use within the hospital environment but also in the home. Our goal is to provide best practice respiratory product solutions for patients and clinicians, offering quality, innovation and choice. 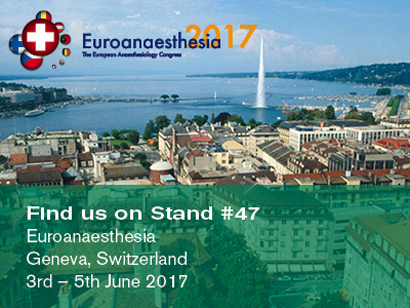 During Euroanaesthesia, focus will be on our airway management and anaesthesia ranges, which includes a comprehensive choice of supraglottic airways - from the innovative i-gel® supraglottic airway to laryngeal mask options - alongside our Guedel airways, endotracheal tubes, filters, HMEs, HMEFs and patient connections. We will also be presenting our extensive range of breathing systems and accessories for use in the operating room, recovery and emergency care; along with our range of medical grade absorbents and standard soda lime. Visit our stand 47 to view the full product range or visit our International website. Follow the discussions on social media using the hashtag #ESAGeneva.